Hi, I am Hank Davis, and my business partner Mike Fagan and I would like to thank you for visiting our web page. 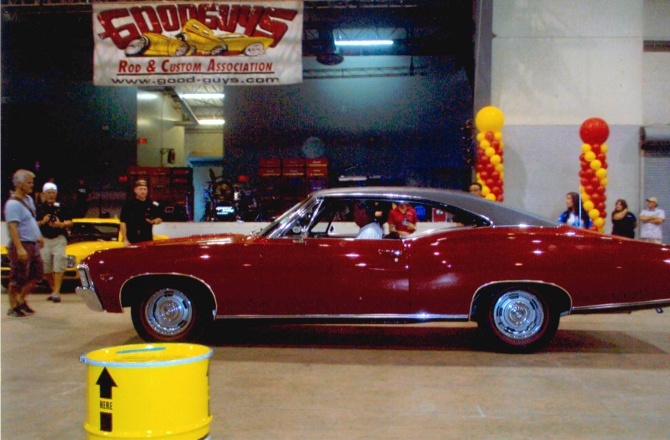 We are introducing Hank’s Garage, which will feature local folks and their classic cars, beginning in late March. 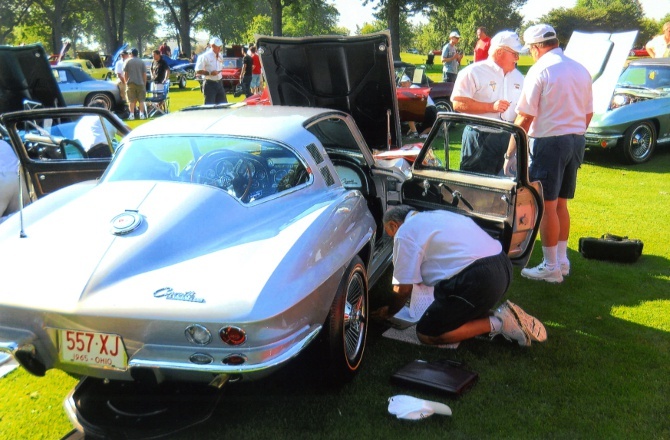 We will also cover this summer’s classic car events and maybe in late fall add a project or two. I hope you will enjoy them. For comments or ideas, please email me at hank@gotocarguys.com. 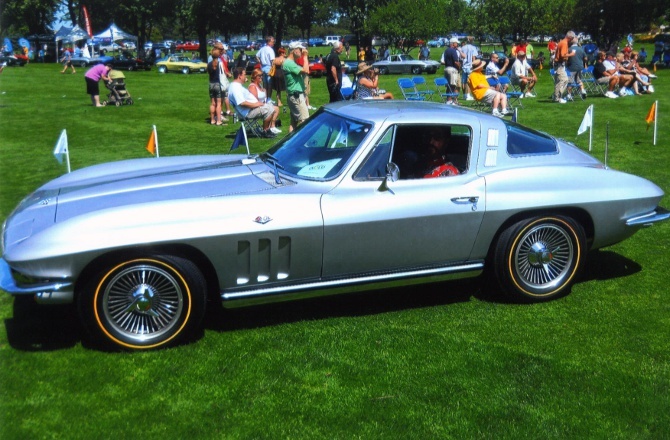 Just returned from Hershey PA for the annual AACA fall classic car meet, and as usual it was spectacular. There was, however, a secondary reason for the trip this fall. 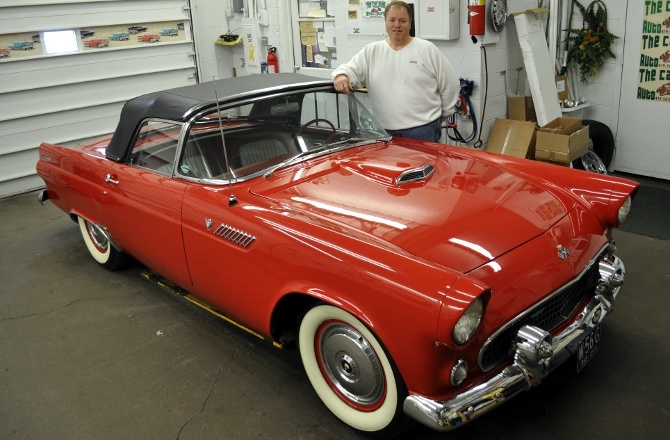 Back in July I purchased a Jr Edsel electric child's ride-in car and it also made the trip to Hershey where my buddy Jeff Blose, owner of Jeff's Toy Box will be restoring it back to new. The Jr Edsel is one of ten built by the Donnalson company of Kansas City Kansas in 1957 for a Edsel dealer promotion. All the dealers were supposed to give one away but only 10 dealers actually did. 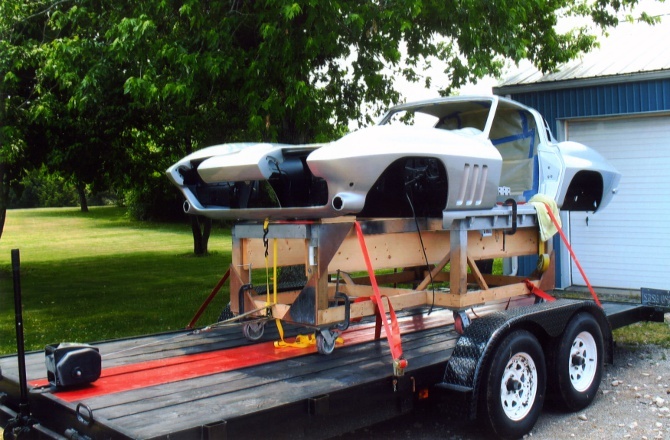 This is one of 4 still known to exist and we will follow its restoration on our web site. Watch for updates. 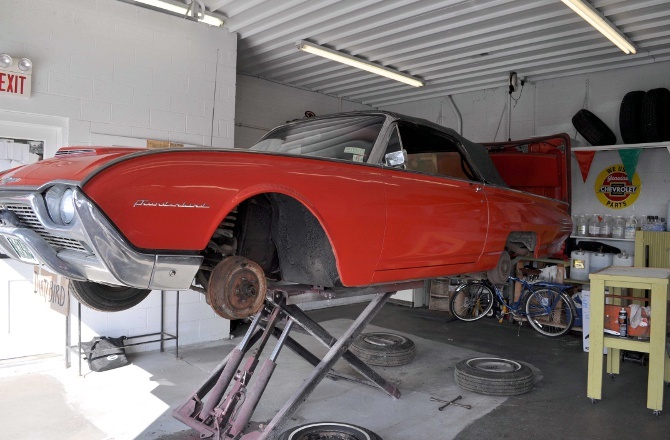 My buddy Tim Musselman, fresh from the barn, just drug home a very rare 1967 Pontiac Firebird convertable. 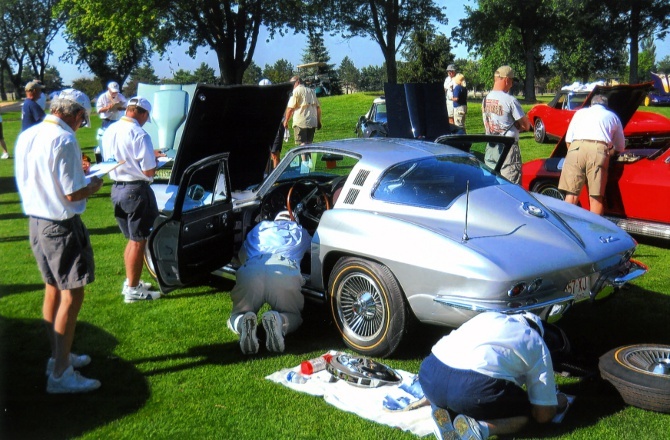 I know, whats so rare about a car in which 82,560 were built in 1967? Well, of that number, only 15,528 were convertables, around 19%. Of that number only 3709 were 6 cylinders. 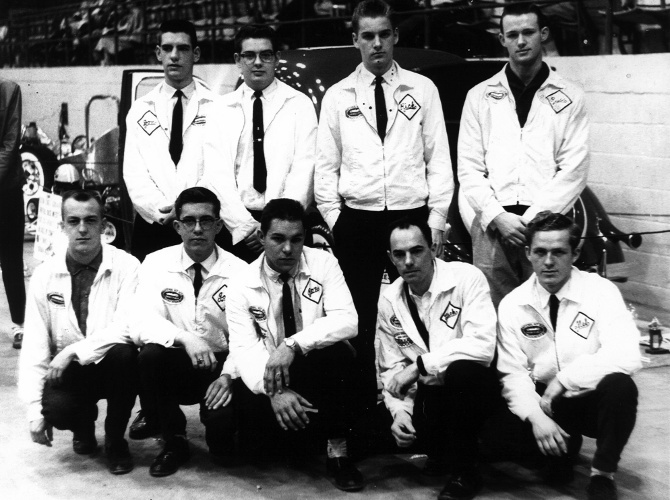 Now whats really impressive is that only 370 6 cylinder Sprints with 4 bbl carbs were built. Yep, Tim's is one of those. 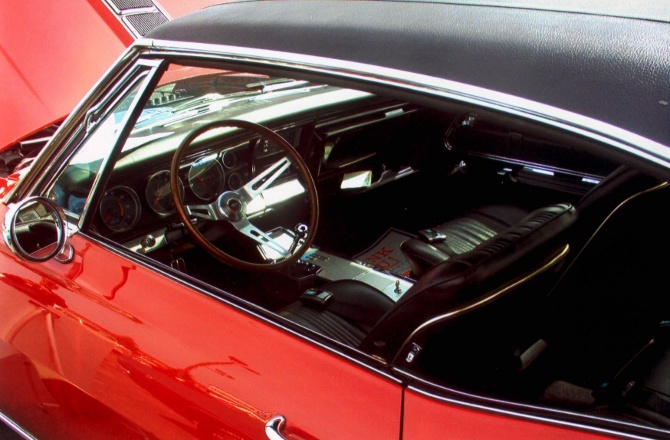 While the interior, dash and console and glass are very nice and re-usable, the body however... well, lets say the right guy bought it. 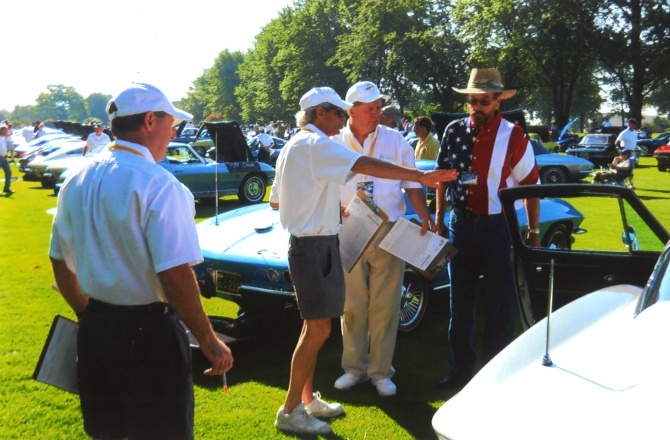 Whats more the local Pontiac club issued a challange to Tim to have the care done by next September's Pontiac show. The 59 Edsel wagon we sent to Florida has already undergone a transformation with it's new owner. Within 3 days of it's Florida arrival it was getting a new paint job and new carpet and the new owners love it. It's already been a big hit at a couple of Car shows. Bill it's been a pleasure and we are glad your excited about a very rare car. Well, the 60 Chevy Impala is done and has made a trip to Mt. Vernon, Ohio. In the mean time we purchased a 59 Edsel Wagon once used in the movie Shawshank Redemption. The old girl had sat for over 12 years and after a repaired gas tank, new wheels, tires and brakes shes off and running to Daytona Florida. 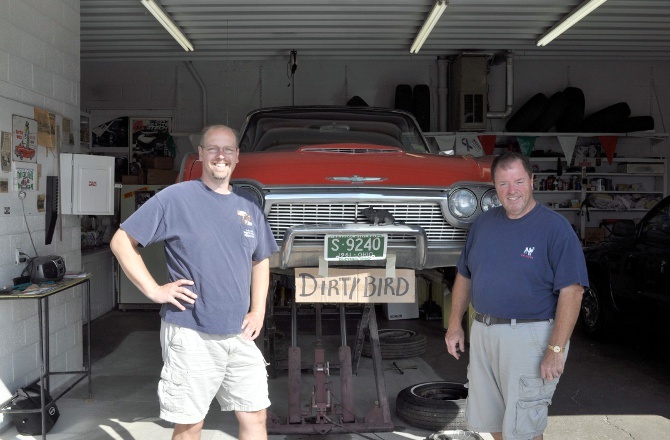 The Car Guys have since purchased a 55 Ford Tudor Sedan and it will be hitting the lot soon. Lastly the Stucky family of Bloomville revisited there dating days when they purchased this 63 Impala 2 door Sport Coupe here at the Car Guys. Nothing like a classic to revive your romance...I just hope Daryl's romance is more than just with the car. The 36 Ford has a new home in Rhode Island, my 58 Edsel now resides in Dayton, Ohio and the 47 International rat rod truck went to Nevada, Ohio. The 52 Chevy is for sale so you guessed it, time for a new project. 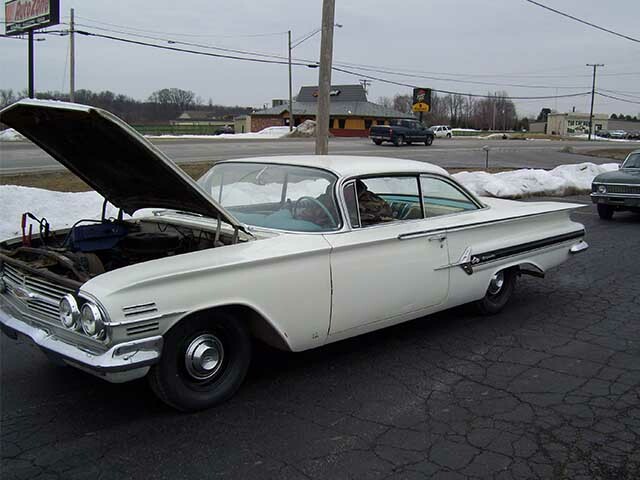 This 1960 Chevy Impala just arrived from Iowa still wearing it's original paint interior and drive train and sporting 60,000 miles. After setting some 25+ years in a photo studio doing duty as a prop for senior pictures we are going to try to get this baby back on the road for summer. After a quick assessment we know a new exhaust is in order as are U-joints, wheels and tires, and wheel bearings and brakes. The wipers and gas gauge are not working nor are the back up lights. 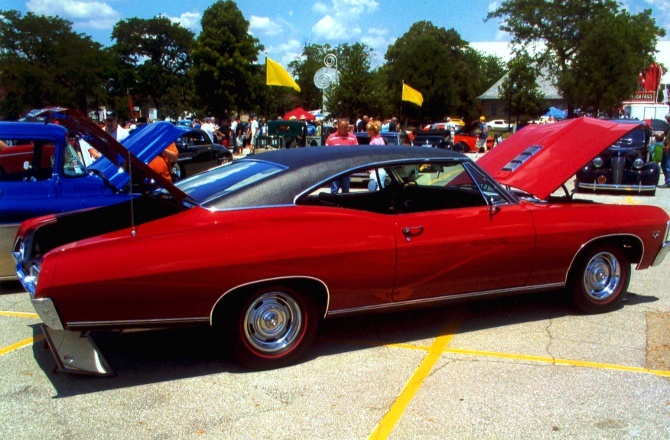 Now the good news, ORIGINAL, UN-RESTORED, the way we like em. As always follow our updates and stop out for a peak. 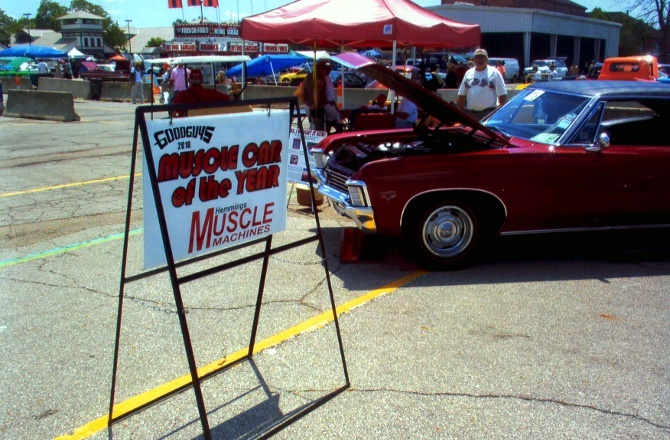 Rosie's Diner AKA Bob Erwin of Bucyrus added a panel truck purchased from the Car Guys Auto Sales for carry out orders. Give Bob a jingle and place your order!!! Ice Cream Truck or Time Machine? In 1958, 5 year old little Timmy Muselman of Galion, Ohio would run to the curb as the Andrews Dairy ice cream truck would come up the street. The old International ice cream truck would have it's usual stash of push-ups, drumsticks, fudge bars, ice cream sandwiches and popsicles. I think we can all relate to that memory. A hot summer day, long ago when a nickle bought a popsicle and if you had a dime you could buy any ice cream novelty on the truck. Ah, if we could only go back in time, just once, to experience that childhood moment. Okay, I'm awake. But wait, little Timmy (who is, well, over 50) has made a journey back in time and yes, hold on to your flux capacitor, has returned with a 1948 Andrews ice cream truck. Tim says it may be the very truck that he bought ice cream from. Tim purchased the old tired 48 International truck in December and in record time has this time warp almost ready to serve up a summer of tasty treats. It's been painted cool vanilla shake with cherry red wheels and sports a new set of wide whites. Hey, this truck is not just for show, the ice box works and after Tim gets it lettered, he could be open for business. 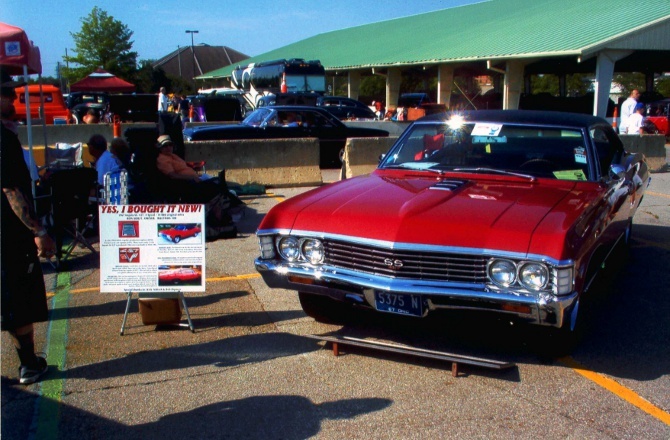 Look for this wild "blast from the past" at local car shows this summer. Did I mention Ron has two chances? You see, his 1962 Chevy 409 is also a finalist. once said, “The harder I work, the luckier I get.” Good luck Ron; the hard work is over. Congratulations Richard on your award, and gorgeous car. 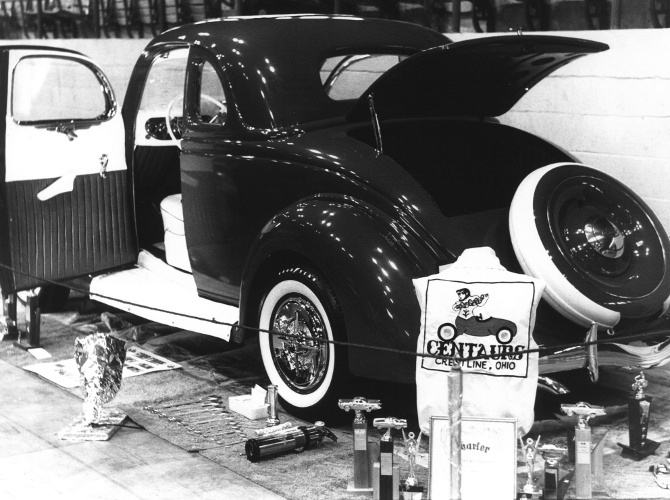 There is always a story behind every hot rod, and the story here is kids. Okay, besides the love of my life Debbie, who spotted this truck, my two passions are my grandchildren and cars… err, trucks too. Then on the tailgate, you will notice Libby’s twin brother Grant and Cash’s little brother Grady as the proprietors of this truck. Sweitzer’s Performance Center did a great job with some other neat hot-rod touches, and I added wide whites and new dog-dish caps. To my kids, I say there is room for more grandbabies’ names; it’s a big truck. got to check it out! 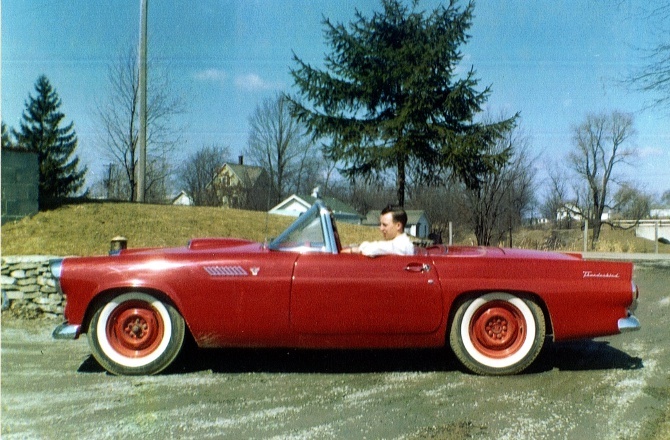 This 2nd picture is the very same T-bird taken in April 1962 with the 2nd owner, Phil Bruner of Willard.